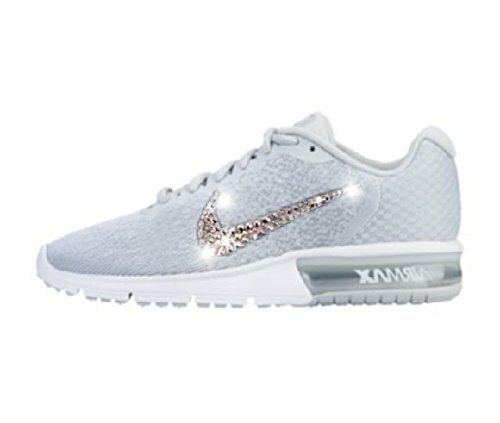 Brand New, Made to order bling Nike air max sequent 2 Hand adorned with 100% Swarovski Crystals on each outter Nike swoosh. Each crystal is hand placed one by one, perfectly placed with a variety of sizes for the perfect fit and durability. These Nike air maxes are super comfortable and made for this winter, Crystals are made to last on the Nike shoe itself. I guarantee all work. Get the best gift this Christmas for all the beautiful Women and girls in your life! An unforgettable gift indeed! If you have any questions about this product by AllureDesignz, contact us by completing and submitting the form below. If you are looking for a specif part number, please include it with your message.